Broselow tape or other pediatric emergency management aid not available and child requires intubation. Pediatric airways obviously grow with age; it is critical a properly-sized tube is inserted during intubation. This formula typically is applicable to children ages 1-12. Below that, consider an endotracheal tube reference card; above 12, typically most adult sizes (6.5-8.0) can be used. Singh NC et al, Physiological responses to endotracheal and oral suctioning in paediatric patients: the influence of endotracheal tube sizes and suction pressures. Clin Intensive Care. 1991; 2: 345-350. A Synopsis of Anaesthesia by R.S.Atkinson, G.B.Bushman and J.Alfred Lee, Publishers John Wright. 1993. 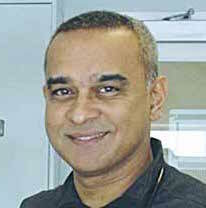 Narendra Singh, MBBS, FRCPC, is the Chief of Staff at the Humber River Regional Hospital in Toronto, Ontario and the Doctors Hospital at Renaissance in Texas. Dr. Singh completed pediatric training at the University of Western Ontario and a fellowship in pediatric critical care at the Hospital for Sick Children and the Children’s Hospital of Pittsburgh. Previously, as Chief of Pediatrics, Dr. Singh’s leadership played a vital role in the Humber River Hospital Pediatric Program being named one of the top performing hospitals in Ontario for Pediatric Patient Experience. Dr. Singh is also the founder and driving force behind Guyana Help the Kids (GHTK), a charitable organization based in Toronto and dedicated to reducing infant mortality in Guyana.